My 10 Favorite Horror Movies | welcome to the janniverse. I’ve loved horror since I was a little kid. I always loved scary books, comics, and movies. Halloween has been my favorite holiday since I can remember—it was always fun to dress up as something you weren’t the rest of the year. But the thing is, I’m not easy to scare. I find real life is often more horrifying than what passes for most “horror.” Jump scares are cheap, easy, and don’t do it for me. If we’re talking video games, that’s why the first few entries in the Silent Hill series (through The Room, I’d say) are my thing; not the much campier Resident Evil series. As a result, choosing a list of 10 horror films I love more than any others has been difficult. Do my moods change? Certainly. That’s why, while I’ve decided to say “these are my top 10,” I’m steadfastly refusing to put them in any sort of order. Why? While I can definitively say these are my favorites, the exact one at the top is definitely subject to change at any given time. Note: When talking movies, there are few things I hate more than trailers that give everything away. Where possible, I’ve included trailers that I feel build interest in the movies listed below without doing this. If it was impossible to find a trailer that wasn’t total anticipation-crushing garbage, I’ve opted to include a good still from the film instead. For a good portion of the beginning of this film, you’ll be wondering when it’s actually going to start. If you’re patient, rest assured that patience will be rewarded. Accept the build, pay attention, and enjoy the ride. This film holds the distinction of still being the most genuinely terrifying film I’ve ever seen (and I’ve seen a lot of horror films). Solidly written, directed, acted, and shot, the buildup and genuine sense of psychological terror that’s expertly woven through this movie feels like it’s from another time. 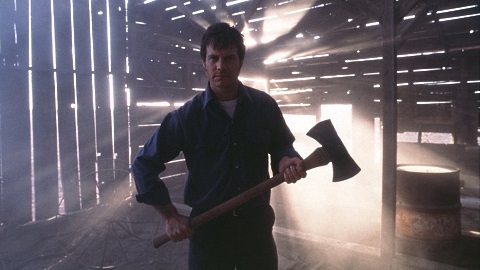 It’s also Bill Paxton’s directorial debut, and unfortunately we haven’t seen anything else like it since then—a fact that’s nothing short of criminal. Park Chan-Wook is better known for Oldboy, which is also an excellent film—but Thirst does the seemingly impossible and weaves together an incredible vampire love story that doesn’t make you want to stab yourself in the face because it’s so ridiculous. There is, of course, much more to it than that—including a healthy dose of social commentary. While it’s true that I’ll always have time for del Toro and am generally in awe of the way his mind works, that’s doubly true for this incredibly haunting ghost story. Like other entries on this list, reducing it to a simple descriptive phrase seems almost wrong, because there’s so much more to it than that. This is a nearly perfect contemporary extrapolation of Hitchcock as filtered through pop idols and consumer culture in ’90s Japan. It’s also a fantastic film. You know what I miss? Quality creature effects. Yet another instance of so many things coming together in such a perfect way, you’re sure it couldn’t happen that way again if they tried. Also known as Whispering Corridors 3, this is a take on the “Legend says that if you do X, Y will happen” mixed with every possible warning about being careful what you wish for. What sets this version apart is primarily story, acting, and execution. When you watch the story unfold, it’s believable enough to be both heartbreaking and disturbing. To be successful as a horror movie, it has to have heart. Can we just talk for a moment about DP Christopher Doyle? If you’re familiar with Wong Kar-Wai’s work, you already know the luscious images Doyle creates. Now imagine that same power used to create one of the most disturbing short films to ever receive commercial release. That insane level of beauty makes this film all the more horrifying. Note: Although I’ve seen both the short film included in the collection “Three…Extremes” and the 90-minute-long extended version, I actually prefer the “Three…Extremes” one. Why? The exposition flows much more cleanly. It doesn’t feel rushed; it feels efficient, and like it takes exactly as much time as it should to tell the story that it’s trying to tell. I hoped the longer version would be even better; alas, I was disappointed. It’s well known that Stephen King wasn’t happy with this film as an adaptation of his novel. Unfortunately for him, it succeeds brilliantly as a truly disturbing exercise in psychological horror (not to mention a testament to Kubrick’s unique brand of genius). I’ve read the novel a few times (as I read most of King’s work when I was a kid). I’m notoriously picky about film adaptations of books. I prefer Kubrick’s vision, and find it infinitely more disturbing than King’s on its own—but I’m not the person who wrote it. Abandoned asylum? Check. Cast of crotchety old men fighting about asbestos remediation? Check. Recovery of old therapy session tapes from one of the asylum’s most notorious patients? Check and mate. You think you know what’s going to happen, and to some degree, you probably do. However, this is a classic exercise in atmosphere- and tension-building, which goes to show that the whole of a thing can often be far more than just the sum of its constituent parts. As I’ve often discussed elsewhere, we wouldn’t keep watching new interpretations of classics if we didn’t want to see how those interpretations treated characters and stories we already know and love. Also called The Returned, I’m referring to it by its French title not to be an annoyingly pretentious fuckwit, but because the American remake also uses “The Returned” as its title. I simply wish to avoid confusion (and can’t comment on the American remake since I haven’t seen it). In any case, it gets Honorable Mention status simply because it’s not a movie. It’s an amazing TV series that starts very slowly, but ratchets up the tension in a way that only a TV series (with TV series-amounts-of-time) can do. Also, it handles the overdone (and often badly done) topic of zombies in the most realistic and thoughtful way I think I’ve ever seen. It’s masterful in the way it handles grief, and in how we mourn those we love when we think they’re not coming back. Then, growing horror when/if they come back and aren’t as we remembered them. It’s a remarkable work, and it’s streaming on Netflix. Sundance also aired it in 2014 and occasionally airs marathons if you prefer to watch that way. At the beginning of this piece, I said the main criterion for making this list was that a film must truly disturb me. 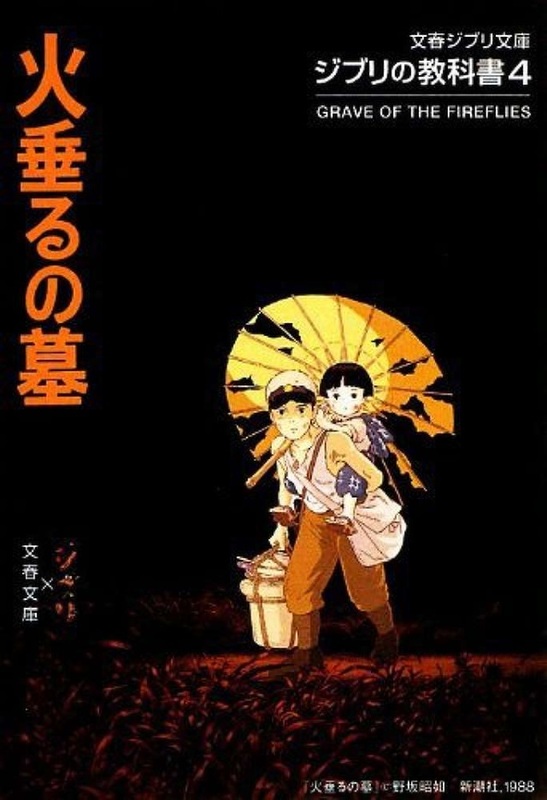 While Grave of the Fireflies isn’t something that anyone would consider a traditional horror film, it’s incredibly horrifying and disturbing to me. If the idea of war and its effect on the normal, everyday, non-combatant populace of places isn’t horrifying to you, I don’t know what is. Or, to put it another way: This movie was so singularly disturbing and soul-crushing, it was originally shown in theatres with the Miyazaki/Studio Ghibli classic My Neighbor Totoro. If you don’t want to stare sadly at the wall and contemplate the horrors that humanity regularly unleashes upon itself, I suggest you watch them this way at home, too. That’s what a powerful movie looks like. At first, you could be forgiven for thinking that this is your run-of-the-mill horror movie, featuring the kind of monster that only appears if you say his name three times in a certain place. Bonus points for choosing some housing projects in Chicago as your “certain place,” of course. I’m a sucker for anything that involves the city of my birth, and will probably try to watch it at least once (especially if it was actually shot here). But dig a little deeper, and you see something even more fascinating: This film was actually based on an incredibly long account of a murder that took place in the Abbott Homes, as chronicled in the Chicago Reader. True, a lot of horror films and fairy tales have their basis in small kernels of truth. But if you take the time to read the true story behind what happened, the film’s extrapolation becomes even more deeply fascinating. This film is cited as partial inspiration for the Silent Hill video game series, and with good reason. The horror of questioning whether what you’re experiencing is real is a unique and terrifying one, expressed more eloquently in this movie than in many others that have attempted it. The dreamlike and disturbing visuals accomplish more by mere suggestion than massive amounts of blood could ever do.